Located in the heart of vibrant Nashville, Tennessee, Trevecca offers students an exciting college experience in a thriving city. 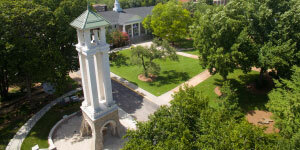 Trevecca is a Christian liberal arts university in the heart of Nashville. The diverse Christian community provides a safe haven for spiritual and personal growth, vocational discernment, and opportunities to serve alongside others. Trevecca’s traditional undergraduates hail from 44 states and 22 countries. 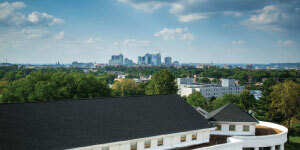 Trevecca’s location in Music City USA is a huge draw for many prospective students. The New York Times recently named Nashville the new “it” city. In addition, Trevecca’s beautiful campus sits just one mile from downtown. More than 90% of Trevecca’s faculty hold the highest academic degree in their field, and classes are small enough to know everyone’s name. Classrooms and facilities include state-of-the-art equipment and host more than 100 academic programs. Students are encouraged to invest in their learning outside the classroom. Students have ample opportunities for internships, research projects, mission trips, and community engagement. 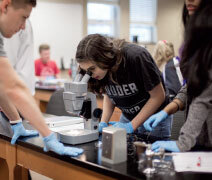 Community service is a key factor in experiential learning at Trevecca. Many students take advantage of the local Nashville programs for urban ministries and environmental clean-up. The University also has its own urban farm. Nashville is full of activities for all interests. Music City boasts many professional and college sports teams as well as municipal parks and greenways. For the arts minded, there is always something exciting at the Schermerhorn Symphony Center, Country Music Hall of Fame, and the Frist Center for the Visual Arts. Nashville is also home to a number of colleges and universities, making it a true college town. Trevecca welcomes visitors to campus. Prospective students and their families can schedule a visit for a private tour, or they can attend an Experience Trevecca Day (preview day). Also, each student is paired with his or her own admission counselor who walks them through the admission process step-by-step. Check out Trevecca Nazarene University today!